Since we started (we are now showing our second collection and finalising the design of our third) we have continued to explore the most effective ways to make our pieces available to the professional and independent woman they are designed for. While selling online has many advantages and can be very positive we continue to believe that trying on the pieces in a boutique or store with people there to help is the most relevant to our prospective customers. While those women are busy the final look and feel of the pieces they wear to work each day is something they need to have unquestioning confidence in and that can only come through trying them on, getting the size right and feeling really good looking in the mirror. We are so lucky therefore that we were asked by Angela Quaintrell to show in her AQ Showroom in London and also in Paris during Fashion Week March 2019. This gives us direct exposure to buyers from those boutiques and department stores in the UK, Europe and the US. With AQ Showroom we will be displayed alongside labels such as Khosla Jani, YSI YSU, Oubinov, By Varga, Cafmere and Print Theorem. Amirun will be there for the full week from Friday 1st March to Wednesday 6th and that will be an opportunity to meet with those buyers from America, Europe and the UK as well as many from other parts of the world. The showroom is at 102 Rue de Turenne, Paris, Ile-de-France, 75003 and it would be great to see you there. 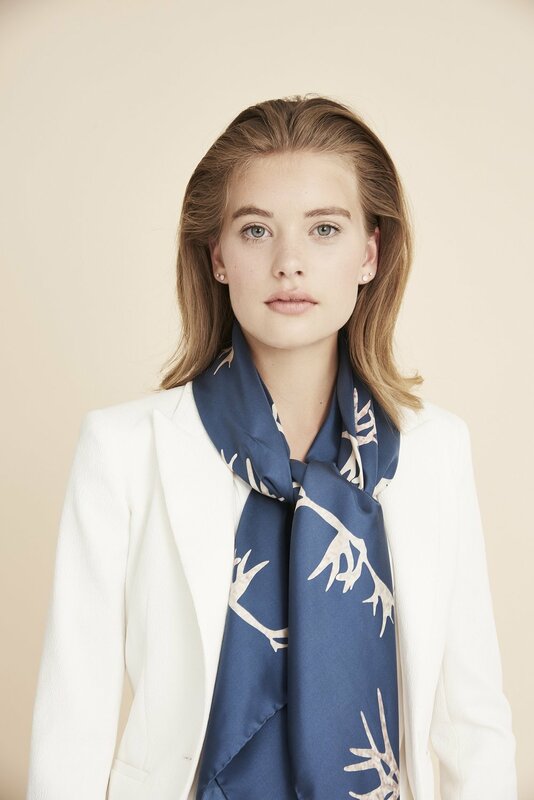 We are also shown in Angela AQ Market showroom in Marylebone which you can visit by appointment - contact Angela at angela@angelaquaintrell.com. If you would like to contact Amirun in advance use our contact form here. London is our base and special to AmirunKhanom. It is where our day to day inspirations come from and where our sampling and manufacturing is located. However we also working with suppliers in Europe and that reflects the wider fashion industry as well as the outlook of those of us within AmirunKhanom. The largest fabric and textile fairs in Europe happen in Paris, Milan and Munich and Amirun will be visiting Paris and Milan in February as well as the ones held in London. 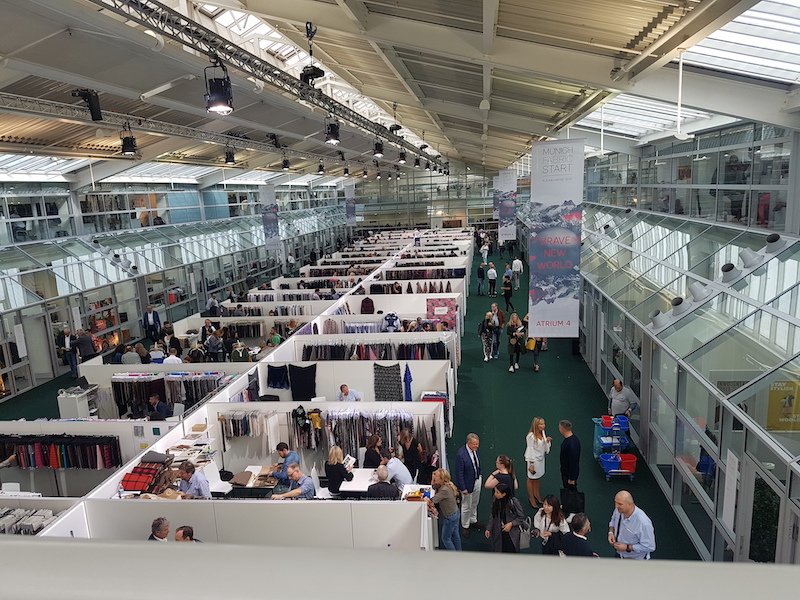 The European fairs are really important for her to get a sense of the trends and changes in fabrics for the next 2 main seasons (Spring Summer and Autumn Winter 2020). In our current collection (Pre/AW 2019) we are using wool from a UK mill and silk from an Italian mill. You can see some of the pieces below. We will continue to work with natural fabrics where-ever possible while exploring and learning more about the emerging materials from smaller manufacturers focused on sustainability. More about that in a future post. No matter what happens between now and the end of March (no mention of the B word here) AmirunKhanom will continue to be a proudly London based business with strong EU connections. For those of you who do not know her Angela is an experienced buyer, mentor to young startups, brand consultant and agent in the fashion sector. She has curated an exceptional collection of talented designers under her AQ Market showroom and AmirunKhanom is happy and humbled to now be included in that group. Amirun has been working with Angela for the last couple of months and is now putting the final touches in place for Pre-Fall 2019. Angela’s showroom, based in Central London, will now be the base for AmirunKhanom selling and the boutiques and stores we deal with will go to the showroom to see our collections. Angela’s client base includes key stores in the UK and Europe as well as an emerging US clientele. This is Angela and Amirun chatting through some inspirations from Instagram during our last visit to the showroom. A key element of the success of any fashion label is to spend time in the company of the people whom your label is designed and manufactured for. In the case of AmirunKhanom that is professional women and in the short term predominantly those working in and around the South East of the UK (with a eye on those of you in Dublin too). In all cases the person or team designing the pieces should be the ones spending that time and that works nicely for our founder Amirum Khanom as her background is as a successful IT professional. There are a lot of networks that actively market their events and we have found a number of them using Meetup and Eventbrite. We also watch out on Twitter and Instagram. Networks vary widely and if you are looking for one for yourself you need to be clear what you want out of it. Some are very social, some very professional and there are also ones whose founders have started them as a way to promote something like a book or consultancy. Some encourage anyone to come along and join, others are more selective. In some cases the original group of women who turned up were from a similar sector (such as financial services, consultancy or law) and others are much broader in their reach. One that Amirun really enjoyed was the City Women Network (website here and Twitter here) and she is also interested in Blooming Founders (Twitter here). In summary City Women Network (CWN) is one of the longest established independent organisations for senior professional and business women in the UK. It was founded in 1978, CWN was the first network for women in banking, accountancy and law in the Square Mile, and has extended its footprint now to include senior women representing a varied range of professions, sectors and backgrounds. Blooming Founders (whose website is inactive) is more focused on female founders and a female-centric workspace. In early September our founder Amirun Khanom took the time to visit Munich Fabric Start. I asked her a couple of quick questions about her visit to share here with you. You have been to textile fairs in London, Paris and Milan. Tell us a little about how Munich stood out from the others? The Munich fair is very big. They do have a large selection of fabrics from all over the world. I enjoyed being surrounded by so much potential. A particular favourite of mine were the print studios. I love seeing the imagination of the designers and it always makes me very excited. I spent a lot of time in the print studios, there is so much I wanted to use for AmirunKhanom. Within the fashion sector designers work on multiple collections at the same time. Which collections had you in mind during your Munich trip? I went to Munich to see the trends for AW19, SS20 and AW20. If there was one trend from Munich that you could see yourself using in your designs for AmirunKhanom what would it be?